Online ASCE Construction Engineering Certificate Program was developed in partnership with Engineering-LAS Online and Dr. Gransberg in Civil, Construction and Environmental Engineering Department at Iowa State University. This certificate program is specifically designed for those who are seeking non-university degrees or university credits. For those looking to receive courses with university credits that count toward your university graduate degree, we offer Online Construction Management Graduate Certificate Program. The Construction Engineering Certificate Program is being offered through The American Society of Civil Engineers (ASCE). ASCE offers a full range of project management and construction engineering curricula and has furnished coursework to the public and private clients in the US and overseas. All courses include asynchronous online video lectures to convey the fundamental concepts and demonstrate example calculations. You will work to solve problems, evaluate case studies, and perform practical exercises. There will be synchronous online interactive periods with the instructor supplemented with an opportunity for unscheduled interactions via email and/or by making an appointment for a phone call. All courses include a final exam to demonstrate comprehension level. You will be taking a total of 6 Guided Online Courses to complete this certificate program. Upon completion, you will earn 6.0 CEUs/60 PDHs. Week 1-4: Each week will have a module with 1-2 recorded lectures. Modules must be completed in chronological order. The learner will start the course by participating in the discussion thread during the first week. For week 2 through week 6, first review the content, then post your questions in the forum. During the course, there will be 3 live interactive webinars. Live webinars will take place in week 2,4, and 5. During the webinars, the instructor will discuss the practical exercises and the final exam, as well as allow learners to get real-time answers for their questions. Each webinar will be scheduled at a specific time by the instructor. Week 1-4: Each module has one self-guided practical exercise for the learners to solve and learn more about the topics covered in the module. Week 1-4: Each module contains a short, multiple-choice knowledge check. Knowledge checks are not mandatory, but they are useful to check the learner’s knowledge of the material in the module. Week 6: There is one multiple choice, final exam at the end of the course, which includes basic calculations and theoretical questions. If the learner fails on the first try the exam may be taken again (maximum three times). Complete all four modules and pass the Final Exam with a score equal to or greater than 70%. Synthesis practical exercises and knowledge checks will not be considered into your final score. You will be provided with all course materials within the online course. 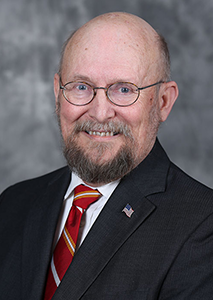 Dr. Gransberg retired in 2017 as a professor of construction engineering at Iowa State University, where he held an endowed research chair for 5 years. He received both his B.S. and M.S. degrees in Civil Engineering from Oregon State University and his Ph.D. in Civil Engineering from the University of Colorado at Boulder. He is a licensed Professional Engineer in Oklahoma, Texas and Oregon, a Certified Cost Engineer, a Designated Design-Build Professional, and a Fellow of the Royal Institution of Chartered Surveyors in the UK. He is the president and founder of Active Continuing Education Systems, LLC., a firm that specializes in providing professional continuing education services using a variety of delivery mediums from in-person to guided online modes. Gransberg has been an ASCE instructor since 1996. He is also the president of Gransberg & Associates, Inc. a construction management/ project delivery consulting firm. The firm was founded in 1996 and provides RFQ/RFP development services to public agencies, as well as CMGC and DB proposal development services to engineers and consultants.